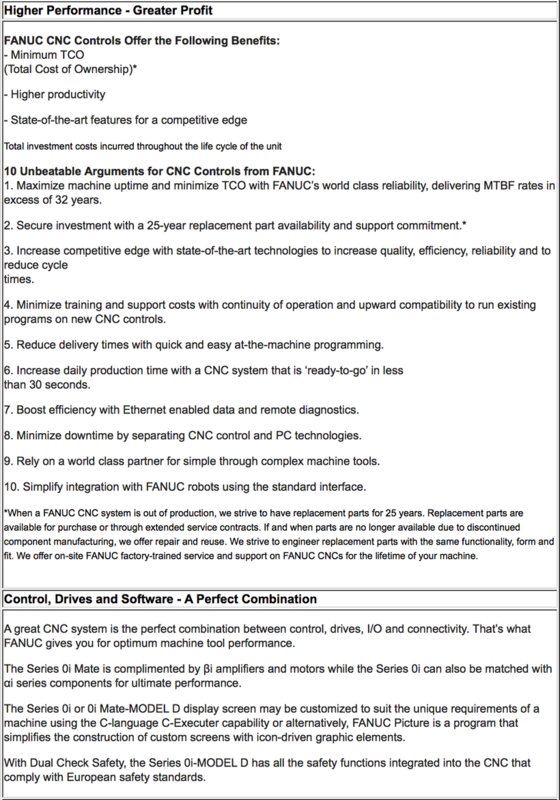 The “Willis” RTM bed mills come standard with the "Fanuc Oi-MDi control, providing three axis or four axis simultaneous controls. These CNC machines are all standard with digital AC controls and drives. The RTM series CNC bed mills have direct drive spindles. An optional ZF gearbox is available on the RTM series bed mills. The Mills come standard with rigid tapping. 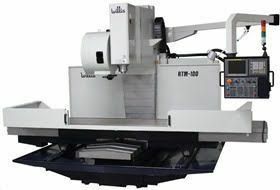 The RTM series bed mills are equipped standard with a 20 tool umbrella type automatic tool changer, and optionally available is a 24 tool arm type automatic tool changer. The RTM series CNC bed mills are equipped with an oversize, high precision ball screw on all three axes. 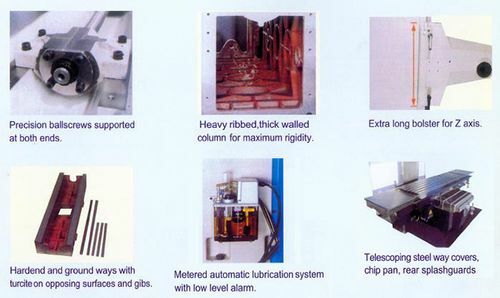 The mills are included with an automatic, metered lubrication system with a low level alarm. A flood type coolant system is standard, as are steel telescoping front and rear way covers, a chip pan, and a rear splashguard. A table mounted splash guard is standard on these vertical CNC mills, and a full enclosure is optional. Fourth axis indexing or full rotary contouring is commonly supplied. X, Y, and Z axis travels range of 100” x-axis x 33” y-axis x 28” z-axis on the RTM 100. 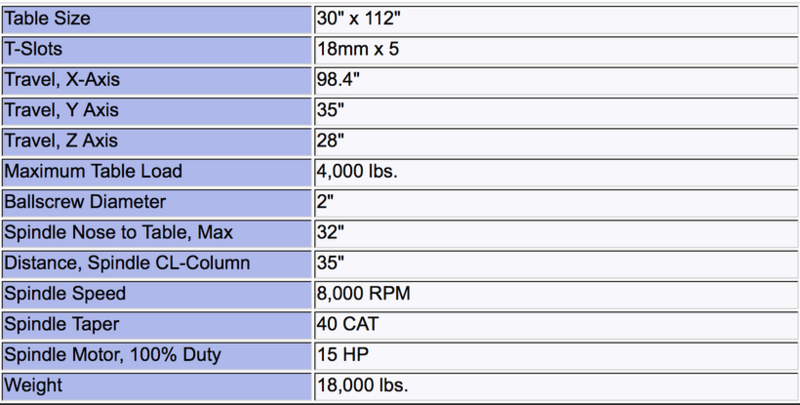 Table sizes for the “Willis” RTM series CNC bed mills come as large as 112” x 30” for the RTM 100, which also carries a 4800 lb. table load capacity using a 20HP motor. Digital tool & part probing is available. Optionally offered is “Renishaw”, or other major brands.